LAS VEGAS, April 10, 2019 /PRNewswire/ - March Networks®, a global video security and video-based business intelligence leader, is pleased to introduce March Networks Insight. The new, hosted service provides March Networks customers with unmatched video network visibility, asset control, system health, and service level agreement (SLA) performance management. It offers a visual overview of an organization's entire video network, and valuable reporting capabilities accessible via a secure, cloud-based platform. 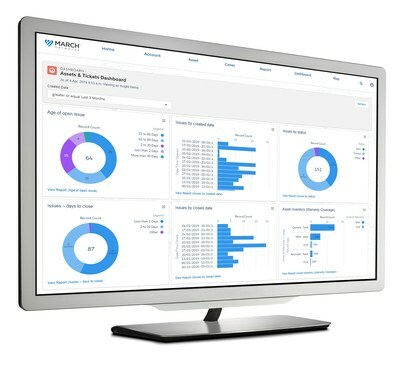 March Networks Insight is a subscription-based service that provides both March Networks customers and certified partners with unmatched visibility into video surveillance network health and performance. March Networks® helps organizations transform video into business intelligence through the integration of surveillance video, analytics, and data from business systems and IoT devices. Companies worldwide use our software solutions to improve efficiency and compliance, reduce losses and risk, enhance customer service and compete more successfully. With deep roots in video security and networking, March Networks is also recognized as the leader in scalable, enterprise-class video management and hosted services. We are proud to work with many of the world's largest financial institutions, retail brands, cannabis operators and transit authorities, and to deliver our software and systems through an extensive distribution and partner network in more than 70 countries. Founded in 2000, March Networks is headquartered in Ottawa, Ontario, Canada. 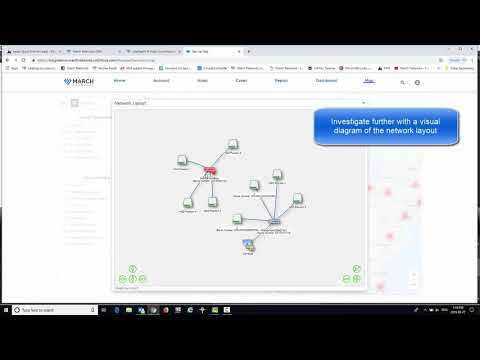 For more information, please visit marchnetworks.com.